It’s Valentine’s day, and here at Adobe we’re showing our love for creating great HTML experiences – Just check out what we released today! All of these are available immediately via Adobe Creative Cloud subscriptions. Adobe Edge Reflow is a new responsive design tool that helps designers create and communicate responsive intent in their designs to both customers and developers. Adobe Edge Reflow enables designers to create responsive HTML experiences in a visual workspace, and leverages web standards technologies to create designs that are accurate to the capabilities of the modern web. Adobe Dreamweaver CS6 provides an intuitive visual interface for making and editing HTML websites and mobile apps. This update includes improved support for responsive design and fluid grids, integration with Adobe Edge Web Fonts for rich typography, improved HTML5 support, and much more! 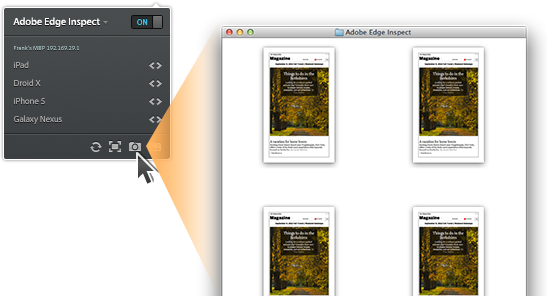 Adobe Edge Animate is new tool for creating interactive and animated web content in a visual, timeline-based environment. This update (Edge Animate 1.5) includes support for CSS built-in filters (blurs, sepia, grayscale, etc…), support for gradients and gradient animation, and rich typography via Adobe Edge Web Fonts. 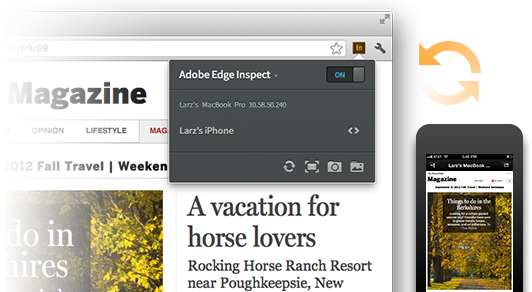 Adobe Edge Code is a new HTML/JS/CSS editor designed to enable you to create create web experiences, without getting in your way. Updates in preview 3 include numerous UI improvements, better code hinting support, and better search support. 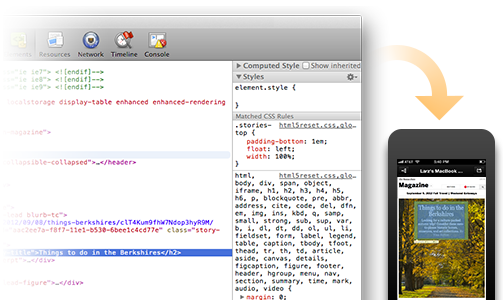 Let’s not forget that Adobe Edge Code is built on the open source Brackets project. Brackets released the sprint 20 build today too! As I mentioned above, all of these are available immediately via Adobe Creative Cloud subscriptions. Even better, you can get Adobe Edge Animate, Adobe Edge Reflow, and Adobe Edge Code as part of the free Creative Cloud tier. Go download them now!